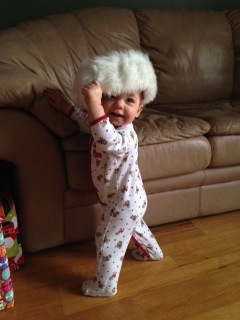 My daughter is 10 months now, and no offense, but she is probably way cuter than your baby. I know, I have just a little bias, but I am also a very honest person. See what I mean? She’s darling! Well, this 10 month old darling is walking and very curious. Lately, she loves to reach her hand in my bowl of popcorn and grab, crunch and shake it EVERYWHERE. She also does this with the water in the bathtub, and toilet when she is too quick for me! If there is a drawer, basket, or cupboard, she will open it, and proceed to empty it. It is, indeed, a very FUN game. So, this got me thinking about her toys. She obviously wants to play with things that feel cool, and are fun to grab, shake, and throw. My sons in preschool and Kindergarten have sensory stations, where they play with things such as sand, water, rice, play dough, ribbon, etc. Kids are very sensory. They learn through touching and, as babies, tasting. 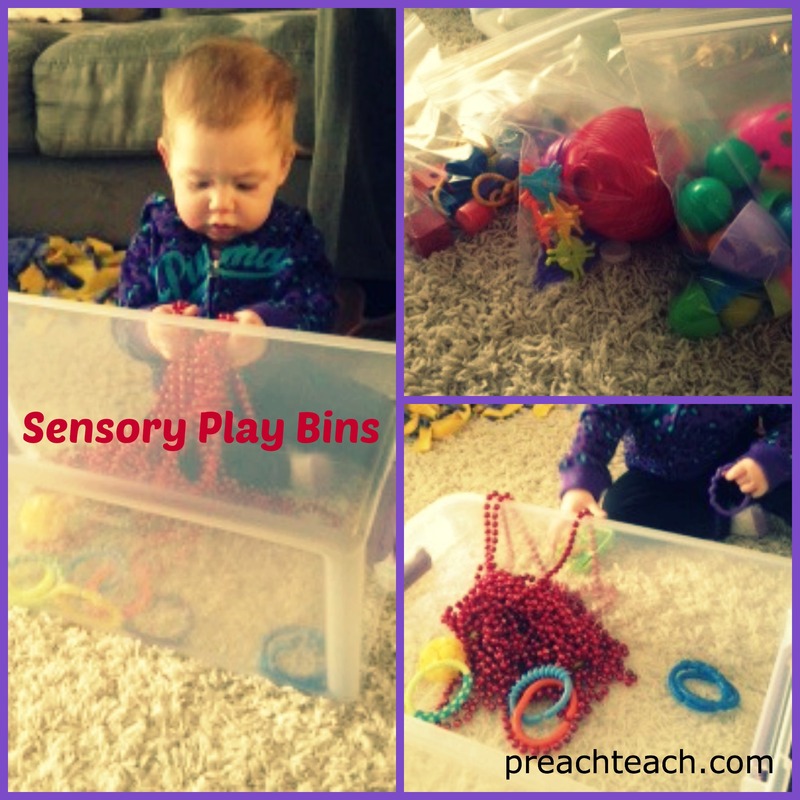 Therefore, I decided to make her some sensory play bins. To store the toys, I put them in 4 gallon size baggies. I empty one in the bin and she plays, chews, and dumps. It keeps her happy and entertained… for at least ten minutes! Just enough time to brush my teeth! What are some things your baby enjoyed playing with?